After much anticipation and cautious optimism, US, European, and Iranian negotiators managed to put together a nuclear framework in Lausanne, Switzerland earlier this month. It sets the stage for a final detailed agreement to be developed in June, which will transform Iran’s nuclear program and reduce sanctions against Iran that have weakened its economy. It appears that diplomats have nearly bridged a formidable foreign policy impasse that plagued their respective governments for over a decade. Perhaps more importantly, a rapprochement with Iran could gradually end the country’s international isolation since 1979 following the revolution. In addition, from the perspective of Iran and some other Middle East countries, Iran’s improved relations with the US and its fair treatment under the nuclear Non-Proliferation Treaty (NPT) would make the US appear less hypocritical and less a source of instability. As an historical aside, it’s also worth noting that Iran started its nuclear program in 1967 with US help as part of Eisenhower’s “Atoms for Peace” program, and unlike Iran, three countries in the region with nuclear programs (Israel, Pakistan, and India) have not signed and ratified the NPT. Many interesting aspects of this agreement and situation are worth discussing. First, much credit for this historic achievement goes to Iranian Foreign Minister Zarif, US Secretary of State Kerry, and EU foreign policy chief Federica Mogherini, though of course all of the negotiating teams put in a lot of hard and stressful work to make it happen. 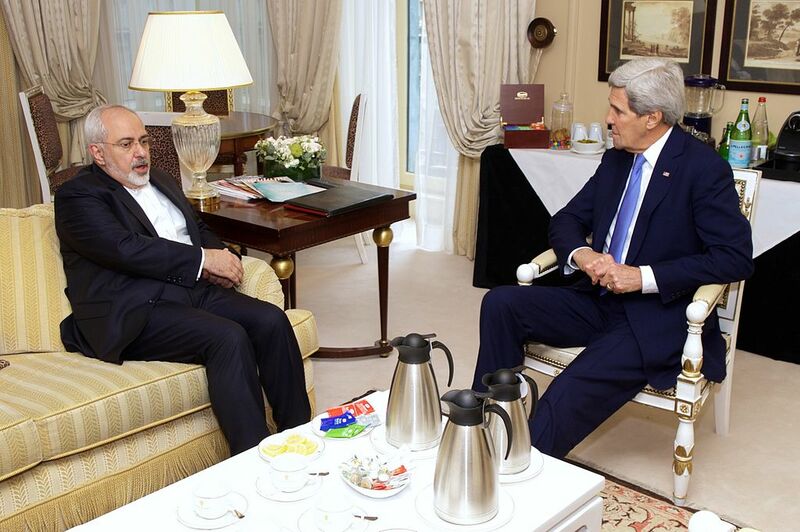 Both Kerry and Zarif now face a difficult balancing act: staying true to the framework and focusing on delivering a final agreement while navigating domestic political concerns. The latter may reflect the different messages and emphases in the statements made by Kerry and Zarif as they returned to their home countries. For example, Zarif and President Rouhani spoke more about relief from sanctions and freedom to enrich uranium while Kerry and President Obama spoke about the limits and restrictions on Iran’s nuclear program. Furthermore, while some influential Iranian “hard-liners” like Hossein Shariatmadari criticized the deal, US senators in the Foreign Relations Committee led by Bob Corker (R-Tenn.) sought to pass a bill that would incorporate Congressional oversight but also had the potential to jeopardize diplomatic efforts. Let’s explore some of the technical elements of the nuclear framework. According to the International Atomic Energy Agency (IAEA) and US intelligence, Iran ended any weapons research it may have had in 2003. 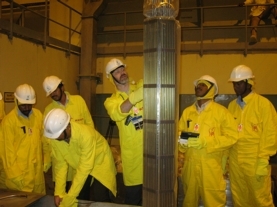 However, because of its power plant in Bushehr, its enrichment facilities in Natanz and Fordo, and its heave water reactor under construction near Arak, Iran has the capability to enrich weapons-grade uranium. Iran currently has 19,000 centrifuges for enriching uranium, and they are operating only 9,000 of them. If Iran wanted to, analysts predict that they are 2-3 months away from acquiring enough fissile material for one weapon; the US and Europe seek to prevent a nuclear “breakout” by extending this to at least one year, for a duration of at least 10 years. In addition, the international community will set up strict inspection and transparency measures that would allow it to detect any Iranian efforts to violate the accord. For more information, see the US State Department’s detailed fact sheet and these Union of Concerned Scientists (UCS) and Science Insider articles. The UCS also recently held a webinar with directors and members of its Global Security Program: Drs. Lisbeth Gronlund, David Wright, and Edwin Lyman. The agreement’s key provisions may be summarized as follows. The first one involves inspections and transparency: the IAEA will have access to Iran’s nuclear facilities, supply chain, uranium mines, centrifuge production, storage facilities, as well as any suspicious sites. Second, US and EU nuclear sanctions will be lifted after the IAEA verifies key steps, and they will “snap back” if necessary. Also, the UN Security Council will pass a new resolution and will set up a dispute resolution program. Third, for the enrichment, the number of centrifuges will be reduced to 6,104 IR-1s (1st-generation centrifuges), and Iran is not allowed to enrich uranium beyond 3.67% for at least 15 years or build new enrichment facilities during that time. Enrichment R&D will be limited as well, and there are plans to convert Fordo facility to an international research center. Fourth, Iran will modify the Arak research reactor to reduce plutonium production, ship spent fuel out of the country, and they are not allowed to engage in reprocessing or reprocessing R&D indefinitely. According an interview with Seyed Hossein Mousavian, former ambassador and nuclear negotiator for Iran, the US and world powers got what they wanted: Iran has accepted the maximum level of transparency and verification, including confidence-building measures that would ensure there would be no breakout or diversion toward weaponization. For Iran, negotiators can say that their rights for peaceful nuclear technology under the NPT was accepted, and all unilateral and multi-lateral nuclear-related sanctions will be lifted. Finally, this has implications for the region. If relations between Iran and world powers improve, Iran could play a much more important role in Middle Eastern affairs. I think this is as it should be, but those who see these relations as a zero-sum game, including some in Saudi Arabia and Israel, oppose the deal for that reason. Leaders of another regional power, Turkey, have not opposed it, however. Furthermore, the success of diplomacy helps to continue nonproliferation efforts under the NPT around the world. We should also acknowledge though, as long as people view nuclear power as the primary alternative to fossil fuels, many countries will invest in it, and the risk of nuclear breakout and proliferation will remain, in spite of IAEA efforts and the NPT. Have or have not regional players in the Middle East started down the road toward ‘nuclearization’ because of distrust in this process, thus significantly improving the chances of nuclear bomb proliferation? Given our lack of success in containing North Korea’s nuclear ambitions along with Iran’s past deception, why should there be confidence in United States efforts? Should this ‘treaty’ be made transparent or hidden? The situation with North Korea has many differences than the situation with Iran and other Middle Eastern countries. Both Iran and the United States could have done much better in the past, but I believe there is a significant chance that diplomacy will prevail here.